Just imaging listening to twenty one and a half liters of motor firing up back in 1909, people must of thought that God had come down in his chariot! What amazes me as even back then, this motor could get over 140MPH and back then, you were lucky to get a Plane to hit 70 MPH! This WAS the FASTEST mode of transport anywhere in the world!!!!! So I thought I would blog about it being its Monday and get your week off to a thumping start. Four 5.3L lungs, worth 50 hp each… Look how long it takes to get the monster to fire up! That’s about 10 Horsepower per liter. Thats about 200 Horsepower, and its only today that they have JUST reached that achievement. Just an amazing piece of running engineering. Thirteen Hundred Cubic inches was just unheard of back then. it raced all over the world, and of course at the infamous BROOKLANDS and then across to the united states,Daytona had the pleasure of seeing this beast in action, as well as BONNEVELLE and many shows and fairgrounds that were on at that time of year. This is an important year at Bonneville as they all are, but this one has a little something more in the tank and that’s history. 2014 marks the 100th anniversary of racing on the Bonneville Salt Flats and BangShift has a pretty epic ace up our sleeve to help celebrate and educate you about that first Bonneville gathering a century ago. The details will emerge tomorrow, but safe it to say that this is the most ambitious series of stories we have ever run and they’re written by one of the most well known and dogged land speed historians in the world. But we’re off the plot here. The merits of the “records” set at the first Bonneville meet are dubious at best and we’ll get to those in the story we just teased you with but the equipment, that’s a well known and established fact. The steed that Teddy Tezlaff drove at Bonneville was one of the ultra rare, and incredibly powerful (for its time) Blitzen Benz cars built in Germany and shipped over to the USA. Powered by a 1,312ci four cylinder and making a robust 200hp, these things had set records at Ormand Beach and other places where long stretches were available for the car to really stretch out. Amazingly, a few of them survive today and this video shows that 1,312ci four banger running on a test stand outside of an engine builder’s place in Pennsylvania after being refurbished. Now, the normal starting procedure on this thing is MINUTES long. We’re talking about five or so. This video picks up right when the thing is starting. The sound you are about to hear is the exact same one that assaulted the ears of the small group assembled at Bonneville (then known as the Salt beds of Salduro) in 1914. It is beautifully ragged now but can you imagine what people thought of it in 1914?! Hit the link below for some auditory learning about land speed history and stay tuned for tomorrow as we roll out exactly what the “big story” is that we’ve got in the pipe! So good to be able to see stuff working and experience at least the noise of that engine today, it must of had people running scared when they first fired it up. 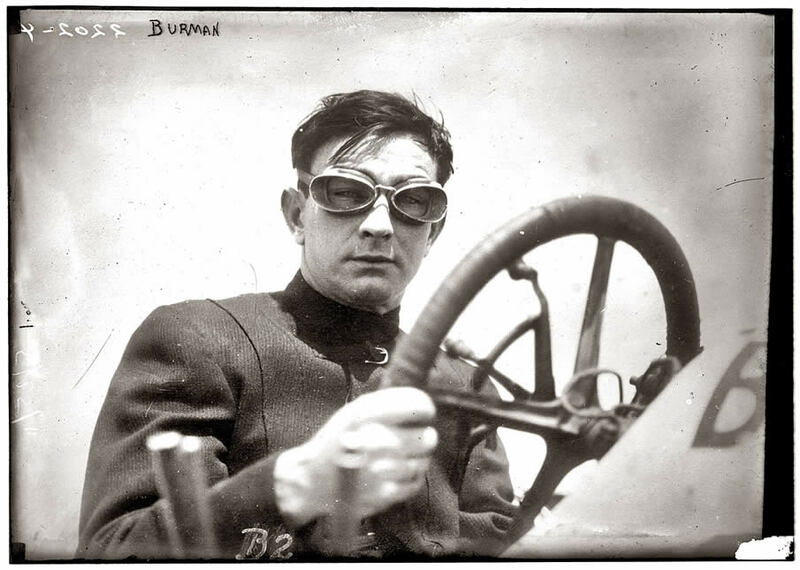 This entry was posted in Blog and tagged Blitzen Benz, board track, bonneville, daytona, dry lakes, land speed, Mercedez benz, speed races, speed trials, vintage racing.